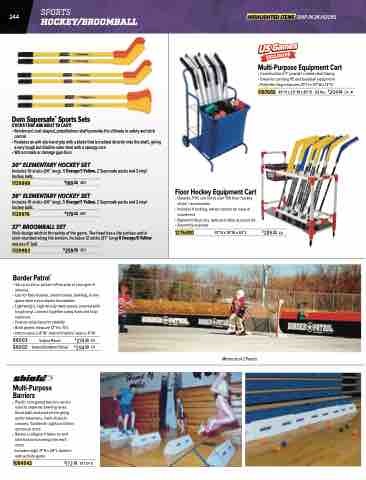 Includes 10 sticks (30” long), 5 Orange/5 Yellow, 2 Supersafe pucks and 2 vinyl hockey balls. Stickdesignaddstothesafetyofthegame.Theheadhasaflatsurfaceandis semi-rounded along the bottom. Includes 12 sticks (37” long) 6 Orange/6 Yellow and one 4” ball.